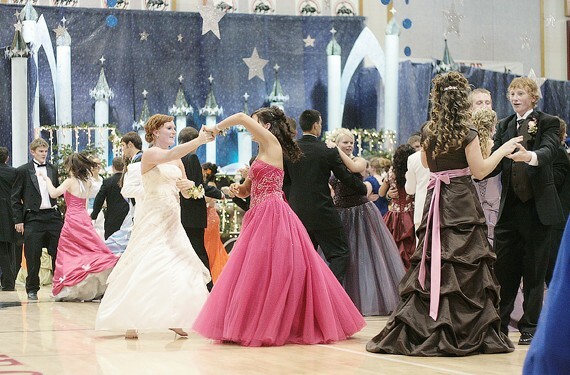 Taylor Cheny and Kennedy Storwod turn and face the crowd of spectators during the promenade dance Saturday at the Grantsville high school junior prom. 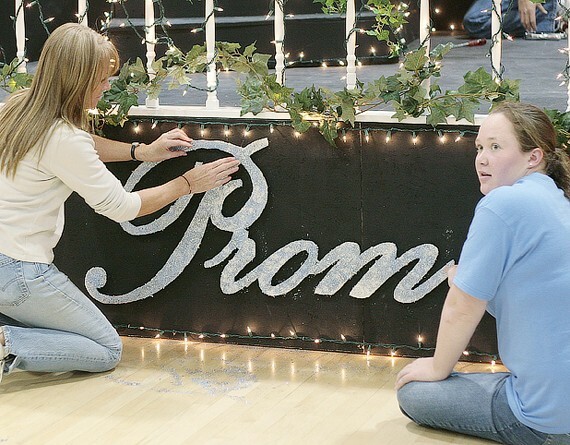 Lora Reed and Vandy Williams straighten out the prom 2008 sign Thursday in the Grantsville high school gym. 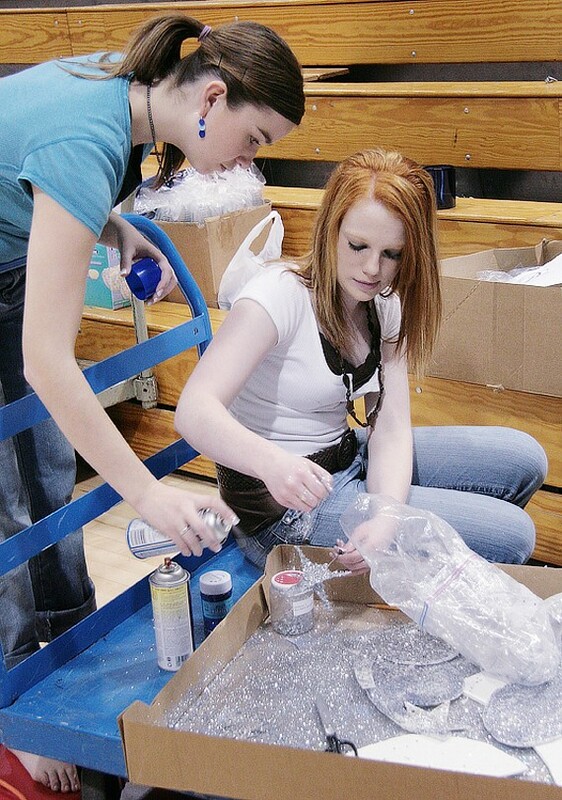 Jami Huffaker and Brandie Cluff sprinkle glitter on to stars Thursday while they decorate the Grantsville high school gym for the junior prom. 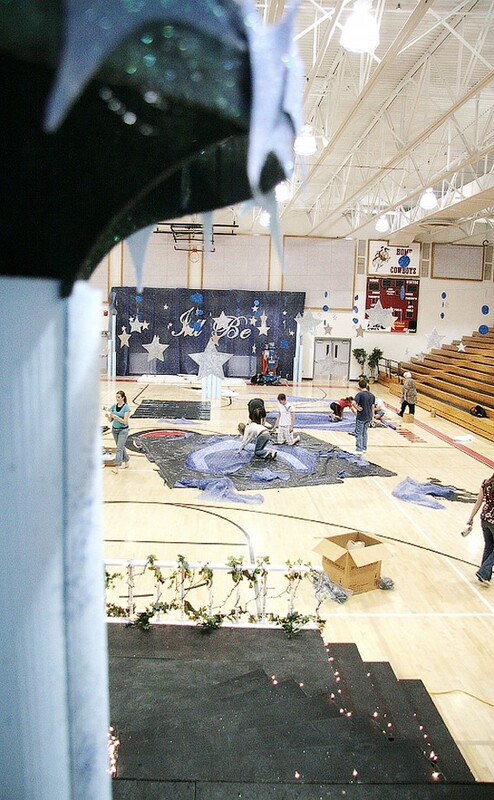 Grantsville high school juniors decorate the schools gym Thursday for the junior prom. 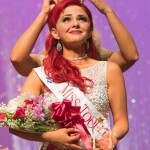 Jodie Thornton gives Grantsville juniors some last minute tips before the promenade dance begins Saturday at the junior prom. 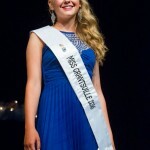 James McClatchy and Shelby Mills step out of the back of a Uhaul truck Saturday which McClatchy and friends decorated and took instead of the traditional prom limo. 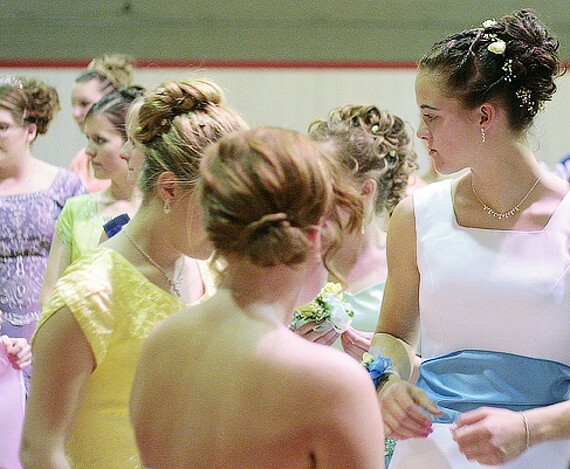 Sammie Jensen and other Grantsville junior girls wait in the Grantsville high school small gym for the junior promenade to begin Saturday. 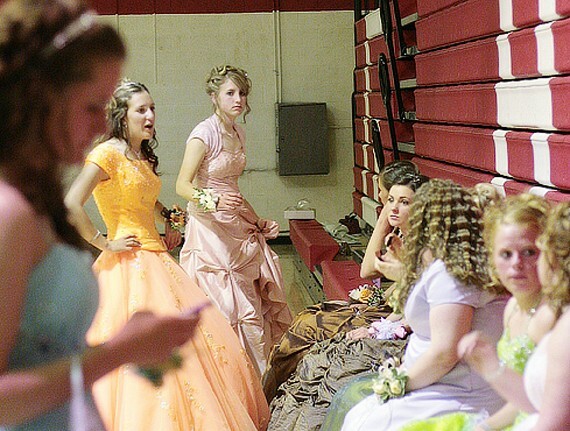 Junior girls wait in the Grantsville high school small gym for the junior promenade dance to begin Saturday. Seniors Jason Mair and Tyler Johnson sit on an overturned garbage can while waiting for the junior promenade dance to start. 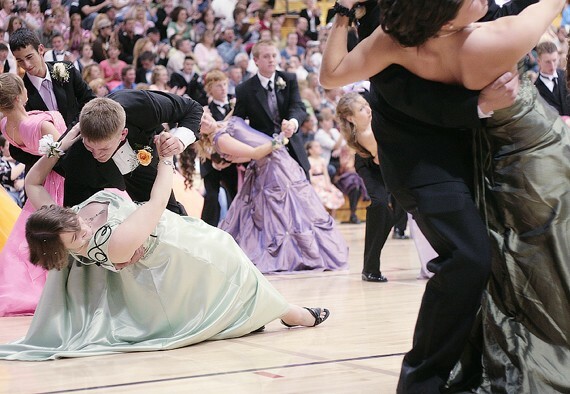 Cody Gerrard dips Bethany Williamson at the end of the promenade dance Saturday at the Grantsville junior prom. 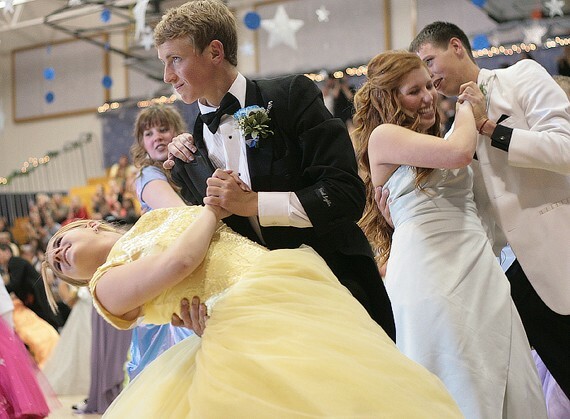 Taylor Lambson and Rachel Klein dance at the Grantsville junior prom Saturday. 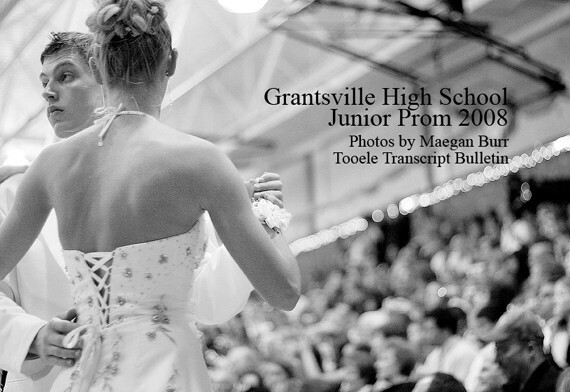 Matt Thornton and Natalie Lawrence sit in the bleachers of the Grantsville high school gym Saturday night at the junior prom. 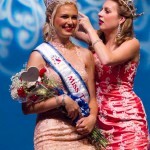 Photos of the 2008 Grantsville High School Junior Prom by Maegan Burr. 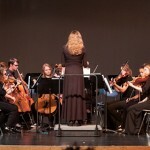 Click through the photos above to see a gallery of 15 photos.